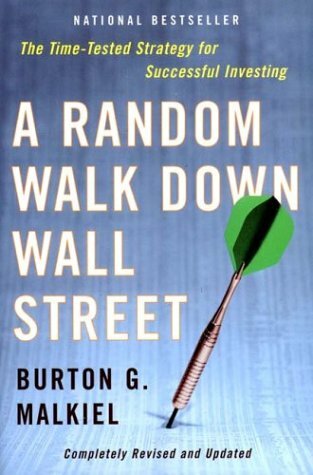 STUFF I LEARNED FROM Burton G. Malkiel's "A Random Walk Down Wall Street"
"Disraeli once wrote that 'patience is a necessary ingredient of genius.' It's also a key element in investing; you can't afford to pull your money out at the wrong time. You need staying power to increase your odds of earning attractive long-run returns. That's why it is so important for you to have noninvestment resources, such as medical and life insurance, to draw on should any emergency strike you or your family." I have a friend whose family wealth was almost completely wiped out by hospital expenses when her father got terribly ill. Preparing for an unfortunate situation like this is perhaps the most important reason why we should take control of our finances as early as possible. There are two simple ways of protecting our families from unforeseeable emergencies and disasters: setting up an emergency fund and getting insurance. An oft-quoted rule of thumb for an emergency fund is six months to one year's worth of living expenses in safe and highly liquid assets like bank accounts and money market funds. If you are covered by medical or disability insurance, you can reduce the amount accordingly. For insurance, just make sure that everyone in the family has some form of medical coverage, and that breadwinners are covered by basic term life insurance plans. Most employment compensation packages already include these benefits; some plans can even be extended to members of your immediate family at lower cost, so if you're employed you can verify the details of your coverage with your HR manager. "Every investor must decide the trade-off he or she is willing to make between eating well and sleeping well. The decision is up to you. High investment rewards can be achieved only at the cost of substantial risk-taking. This has been one of the fundamental lessons of this book. So what's your sleeping point? Finding the answer to this question is one of the most important investment steps you must take." In choosing among available investment alternatives, investors need to know (or decide) how much risk they can bear (or want to carry) since generally, riskier investments provide higher potential returns. We have already talked about this in several posts in the past, but Malkiel's ingenious use of the relationship between risk and losing sleep makes it worthy of another look. The table below, patterned after the one used in the book, presents the "sleeping points" of widely available investment instruments in the Philippines. No risk of losing what you put in. Deposits up to 500,000 pesos are guaranteed by the PDIC. Risk of losing purchasing power with inflation is high, though. Same as above, but less inflation risk. Very little risk, but the principal is not guaranteed. For individual bonds, very little risk if held to maturity. Moderate to substantial fluctuations can be expected in realized return if bonds are sold before maturity. Moderate to substantial risk. In any one year, the actual return could be negative (loss of principal). A good inflation hedge over the long run. "One of the best ways to obtain extra investment funds is to avoid taxes legally." Unlike in the US where they have tax-exempt investment and savings plans, in the Philippines there's not much wiggle room to "avoid taxes legally." The best thing individual investors can do is include tax effects in estimating the returns of available investments. Small business owners and self-employed individuals can actually deduct some expenses from their gross income, which can result in substantial tax savings. If you estimate savings to be greater than the fee charged by an auditor, you might as well get one to make sure your documents and books are in order. "As I've already pointed out, some ready assets are necessary for pending expenses, such as college tuition, possible emergencies, or even psychological support. Thus, you have a real dilemma. You know that if you keep your money in a savings bank and get, say, 1 percent interest in a year in which the inflation rate exceeds 1 percent, you will lose real purchasing power. In fact, the situation's even worse because the interest you get is subject to regular income taxes. So what's a small saver to do?" In the Philippines, the best way to keep the purchasing power of your emergency fund more or less intact without sacrificing liquidity is by parking it in an inexpensive money market fund like BDO's Money Market UITF. It's cheap (it has no "load" or sales commission and the management fee is only 0.5% per year) and efficient: in the past 5 years, the fund has been able to generate an annual net return of 4.73% per year, outperforming other similar funds in the market and pretty much keeping pace with the annual inflation rate. "Small wonder many investors view the bond as an unmentionable four-letter word." A bond is a form of debt security, in which the issuer (also referred to as the seller or borrower) promises to pay the holder (also buyer, lender, or investor) periodic interest payments called "coupon" payments and pay the principal at a predetermined date called "maturity." A variety of bonds is widely available to both individual and institutional investors: Treasury bonds are those offered by the government and corporate bonds are ones which are issued by big, established enterprises. Like stocks, bonds can also be publicly traded in financial markets like the Philippine Dealing Exchange or PDEx. Bond prices are primarily determined by prevailing interest rates: when interest rates rise, bond prices fall, and vice versa. This causes fluctuations in the price, and expected return, of bonds prior to maturity. Bonds are still generally perceived as safer investments than stocks, even if bond holders are actually exposed to many different kinds of risk. There are two main reasons for relative safety: one, coupon payments are compulsary and take precedence over dividends; two, in case of bankruptcy, creditors get first dibs on the remaining assets of the firm. Since it's safer, a bond would typically provide a lower return than riskier assets like stocks. If you're interested in buying bonds, you can check out the website of PDEx for outstanding issues and approach an authorized bond broker or dealer (usually any one of the more reputable commercial banks) to buy the bond that you're interested in. You can also approach you chosen broker if you want to subscribe to new issues. An alternative to buying individual bonds is to invest in a bond fund like a bond UITF, which is invested in a portfolio of bonds and other fixed-income securities.